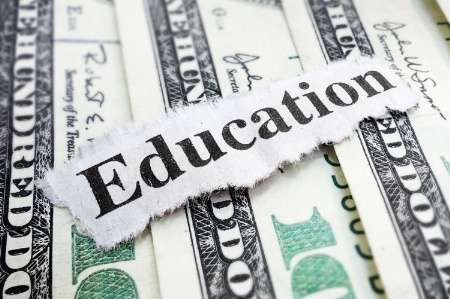 As a response to the high cost of tuition Erik C. Banks proposes offering “parents a transparent itemized tuition bill that shows them exactly where their money goes and how much of it is spent on things having nothing to do with education.” I think it’s a great idea! We need some way of making it very clear where money is being spent in our institutions of higher education. Despite popular perceptions that excessive tuition costs are the result of the bloated salaries of professors (there may be some examples of excessive salaries, but they are the exception, not the rule. Trust me! ), the main culprits are the combination of decreased state funding and higher administrative costs. The other problem of decreased funding for public education is the result of irresponsible tax cuts and ideological movements to privatize education (see posts about Scott Walker’s campaign in Wisconsin and the struggles at the University of North Carolina). Please read Banks informed discussion on this very important topic! I would also recommend reading the “2015 Ohio Education Report” that Banks provides at the bottom of his post. It breaks down the increased costs of higher education in Ohio (the trends are similar across the nation) and the decreasing state funding. It also gives a compelling defense of the value of higher education. Check, Please! An Itemized Tuition Bill for College.